We’re Coming to San Diego! Coming late summer to the second largest city in California: Room & Board San Diego! 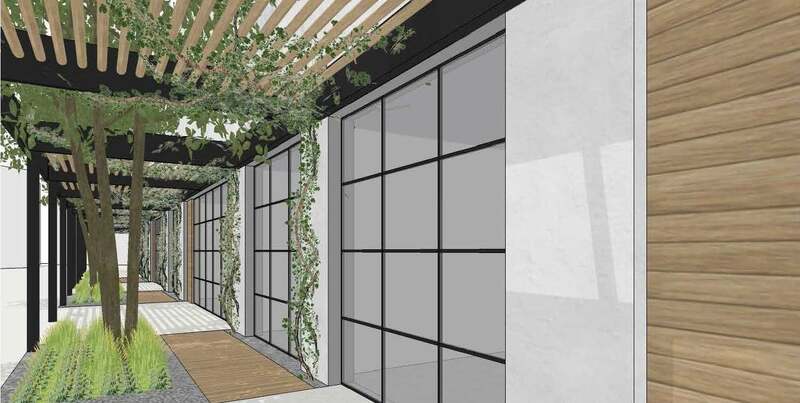 The single-level showroom will occupy 17,000 square feet at Westfield UTC, an open air lifestyle center focused on creating exceptional customer experiences. A survey of our current customers pointed us to this highly accessible, centrally located area branded as the “ultimate escape”. The mall is growing, with 90 more stores and restaurants opening this fall. Demolition of the current space will begin in February with construction on the new store beginning in March. We’re partnering with Gensler, with whom we’ve worked for the past eight years, for their architectural expertise and Alain Hirsch Construction, with whom we worked on our new South Coast Collection location. Here’s a closer view of the proposed patio design. Stay tuned for more updates on the space as it takes shape. Excellent idea to expand your horizons to beautiful San Diego. And perhaps to a huge emerging market like Mexico ! potentially looking for a part time position if hirings! Design degree from Boston, I am a teacher with some flexibility and live near UTC.